You’ve got a dinner party with your besties locked in but you’re also trying to lose weight. It’s something you really struggle with. You want to fully enjoy living your life (+ all of its indulgences) but you also really want to be successful with your weight loss because it’s pretty important to you. You’re pretty good at being disciplined during the week, so how do you be sure that you’re not jeapoardising all your hard earned weight loss efforts on your weekends + still not miss out on all the good stuff? Firstly, it’s important to remember that one night of eating + drinking probably won’t blow out your weight loss efforts completely, but several nights will. So in my books, it’s worth putting a bit of planning into how you’re going to to indulge + then make sure you get back on track the next day especially if you’re the kind of person who finds that one night of indulgence often extends into seven days of indulgence. The key to staying on track while letting your hair down, is to plan ahead with some tasty but smart lower calorie food + drink options in amongst the other stuff. If you’re the kind of person that likes a few gentle guidelines for yourself in place so that you don’t feel completely out of control, do that too. Don’t know where to start with any of this? Read on my friends, I’ve got you completely covered. My five top nutritionist approved drinks (coming fresh from my Pinterest page) are listed below. After your drinks list is sorted, head on over for your list of delicious high protein dinner options to cover your bases in that department too. And finally, if you’d like some extra guidelines to put in place to help structure your day or evening off, I’ve got that here. Now, before we begin, I need to be clear, the list below is not me advocating alcohol as a health drink. It’s not. But I’m also a pragmatist + for those of you that are having a night out, I’m here to help you make the most healthful choices. With this in mind, here are a few extra points to consider in planning your night (+ yes, I’m going to mention drinking loads of water ;)) to make it both healthy + fun. Drink a full glass of water between drinks + drink it slowly. Put it in a fancy glass if you need, or have chilled sparkling mineral water available, as you tend to drink it more slowly than still water. Eat at the same time as you consume alcohol + make it a full + balanced meal rather than junky, snacky food. If you need more direction on how to do this you can read it here. Drink responsibly + safely. Remember your risk of several diseases goes up with increased + chronic consumption of alcohol…..let alone the effect it may be having on your weight. Choose soda water over tonic or soft drink. Tonic water + soft drinks are significantly higher in added sugar + it is easy to consume in high amounts. Remember that any drink other than water will add to your energy consumption for the week. Three standard drinks of red wine is the equivalent to another whole meal so be conscious of your intake if you’re wanting to be in a calorie deficit across your week. Mix your own drinks rather than drinking pre-mixed drinks, as you can’t control what is in them as easily (see Point Four). Here are my favourites in no particular order. Bon Appetit’s Paloma has a beautiful line up for your sipping pleasure. Zesty grapefruit, fresh lime + only a small amount of sugar equals a bit of liver love, a good dash of antioxidant support + a lovely light, crisp flavour. Dagi Cueppers’ Hibiscus Rose Coconut Rum Cocktail is like a little dance party in a drink. Fun + flirty + I love the idea of making ice cubes out of coconut water to pop into what is an absolutely delightful flavour + colour combo. Our Salty Kitchen’s Strawberry Basil Margarita Summer Cocktail ignites my personal obsession of putting fresh herbs in drinks. Save this one for a hot + balmy summer afternoon lounge around session. Very Well Fit’s Healthier Bloody Mary is total perfection when you’re looking for a low calorie option that is a precursor to a night of good food, maybe even a bit of salsa dancing + some great conversation (before + after the salsa dancing…probably not during). Kristy del Coro’s Market Berry Cocktail is both berry + herb heaven if you ask me. Fresh but fruity + best consumed in a deck chair by a pool with a platter of fruit, cheese, crudites, dips + wholegrain crackers. So there you have it. Five beautiful low calorie drink options so you can let your hair down + be confident that you are staying on track to achieve your weight loss goals. Trial my weight loss program (that includes nights out) FOR FREE. Hey! 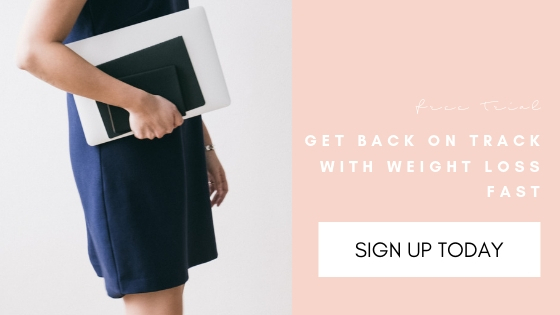 I’m Zoe Morosini, a Brisbane based nutritionist on a mission to show every woman that want to lose weight that she doesn’t have to lose her mind trying.